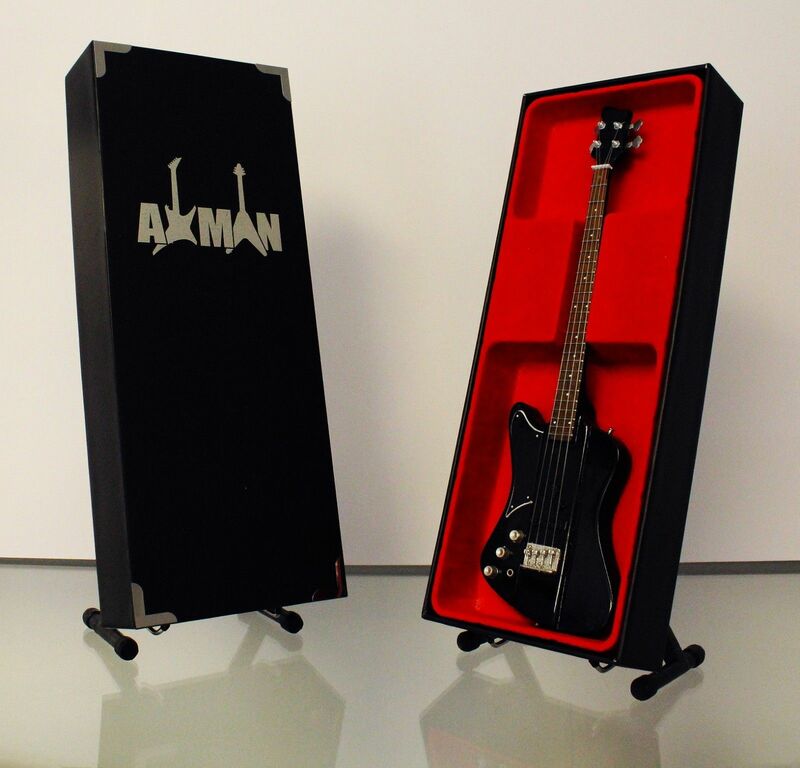 Nikki Sixx - Schecter Sixx Bass Miniature. 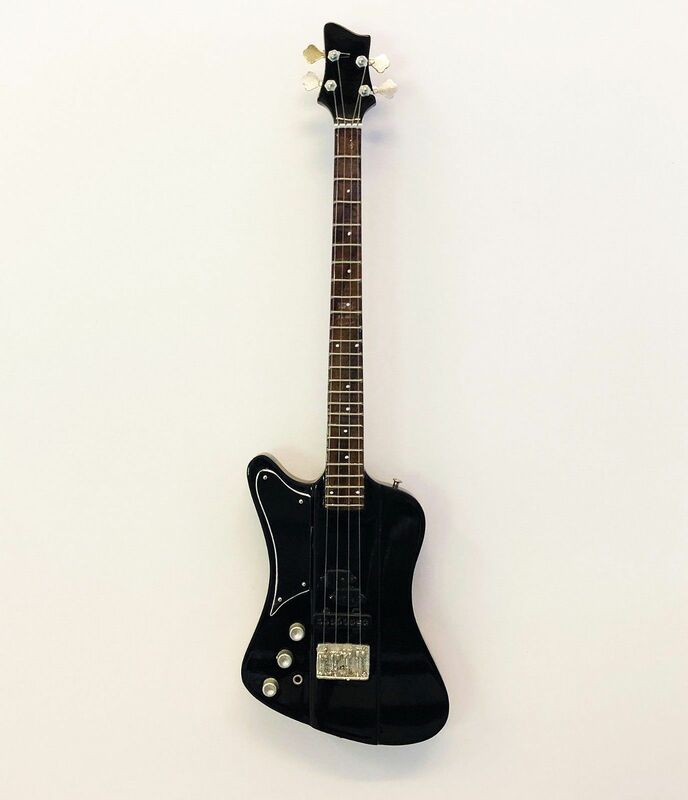 This is a miniature replica of the Nikki Sixx's Signature Schecter Bass. The infamous bassist has left behind a trail of chaos, destruction and much loved classic anthems since the release of Too Fast For Love in 1981. Nikki joned up with Schecter to create a signature model built to his specification. Finished in satin black, with dot inlays and black hardware. 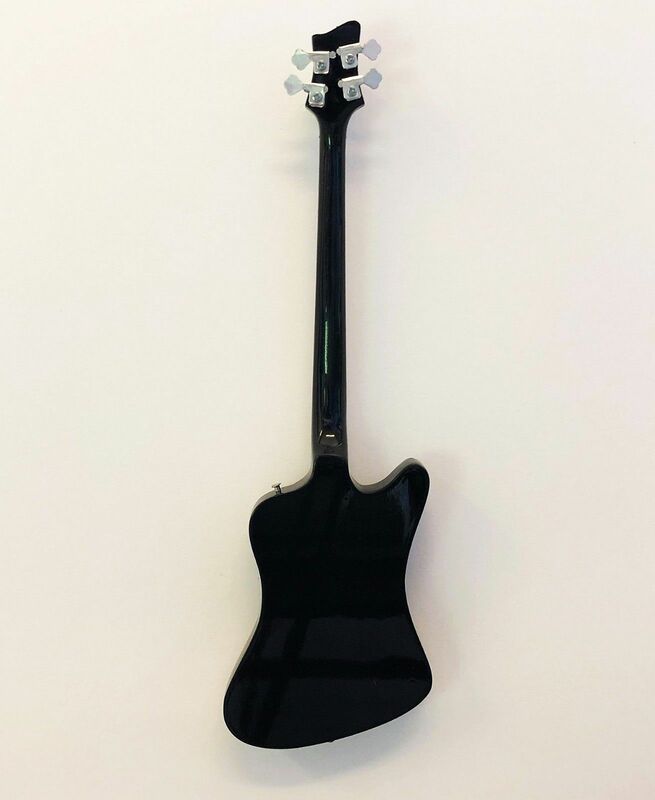 This is an unlicensed, handmade miniature replica guitar. It is for display purposes only and cannot be played. All orders are sent from our UK warehouse using Royal Mail.